NEO DE PADUA aka Kuya E started in showbiz as a talent scout who brings extras to GMA-7 and ABS-CBN. It was the late Rico Yan who first called him Kuya E (his real name is Ernie) when they did “Got to Believe” for Star Cinema, and it stuck. He’s now known as a motivational speaker inspiring audiences in various parts of the world in Europe, US and Asia. This started when he was diagnosed with stage 3 colon cancer 11 years ago. He was introduced to a food supplement called C24/7 to which he attributes his healing. He then put up his own multi-level marketing company to market this, produced by Nature’s Way in Utah and it clicked, making him a millionaire. He was the invited to talk about his healing experience in Pampanga and this began his career as an inspirational speaker. 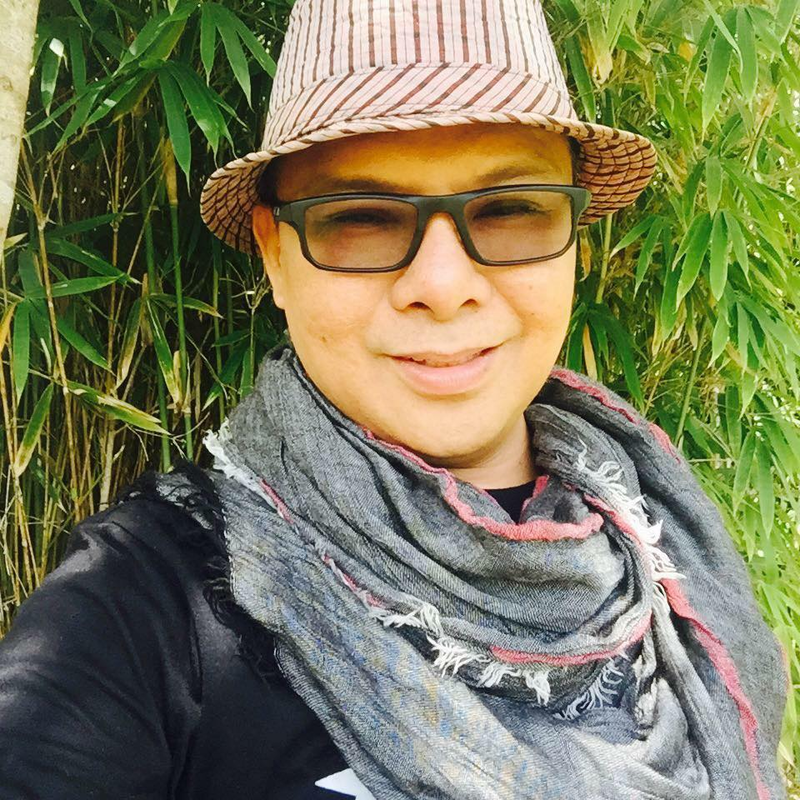 While in Kuwait, a Kuwaiti producer heard him sing and encouraged him to try a singing career. He has just recorded his first single, ‘Ako’y Nangarap’, an inspirational song about pursuing your dreams, now available on iTunes worldwide. 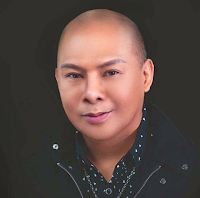 A whole album will soon be released, produced by music icon Vehnee Saturno. 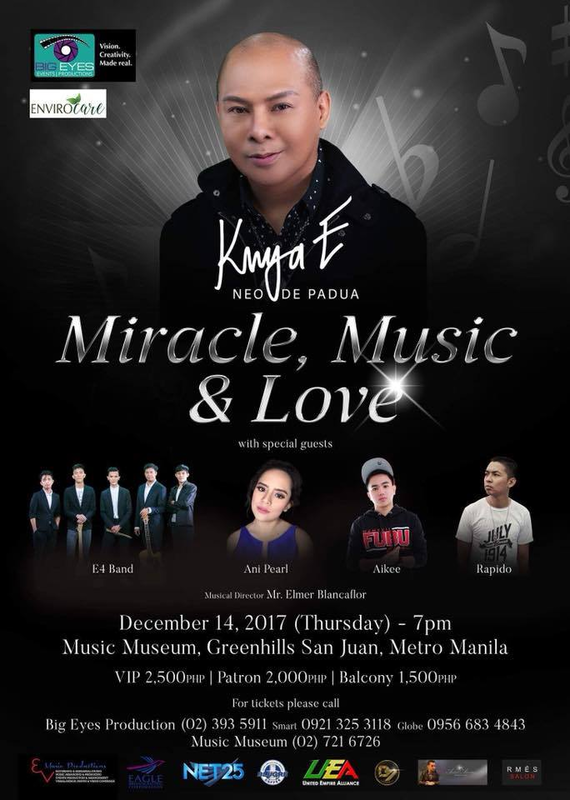 He’s also staging his first big concert, “Miracle, Music and Love”, at the Music Museum on December 14, 7 PM, produced by Big Eyes Events and Productions, with new talents Ani Pearl, Rapido, Himig Handog’s Aikee and E4 Band as his special guests. 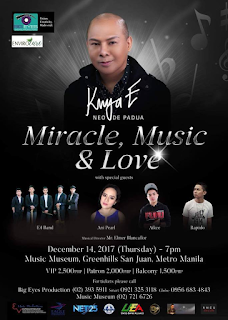 For tickets, call 0921-325-3118, 0956-683-4843.